Ireland vs All Blacks Bus Trip – Update! 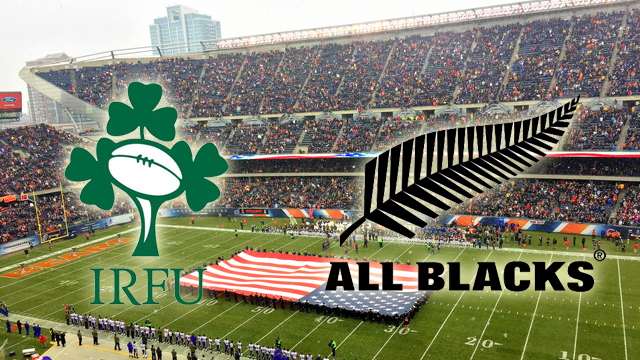 Game time is 3pm tomorrow (November 5th) as Ireland take on the All Blacks at Soldier Field. We are sold out of the ticket packages but can still fit a small number on the buses. This package includes brunch, beer, and bus to and from the game (you need your own ticket). Joes on Weed (940 W. Weed) is our starting venue and where the buses will return. The bar will be open from 11am for your pre-game warmup (includes drinks and brunch). Buses will begin to depart at 1pm. Game tickets will be distributed at the bar.